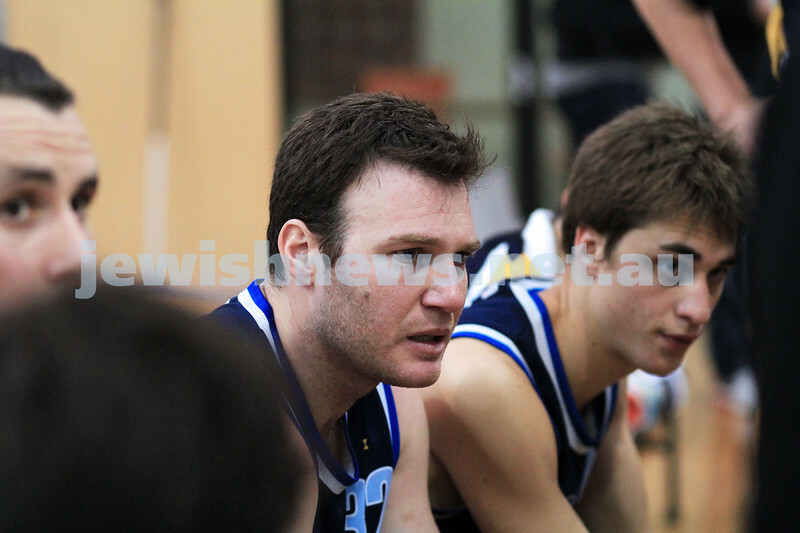 1-7-12. 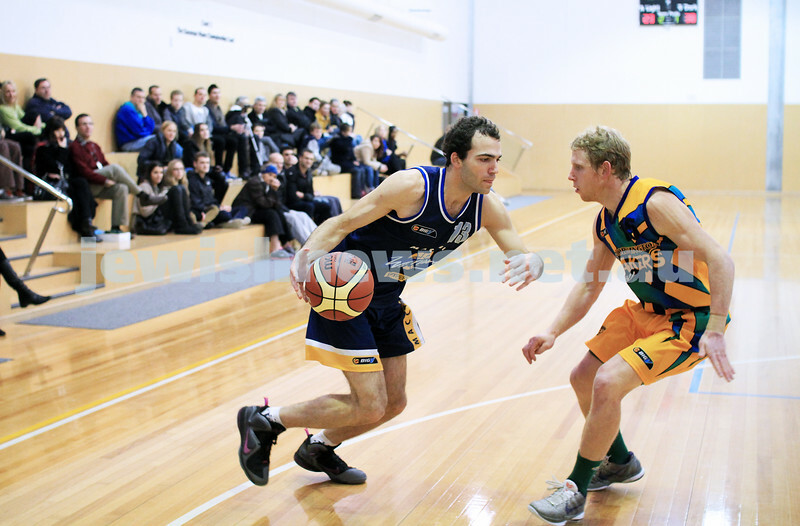 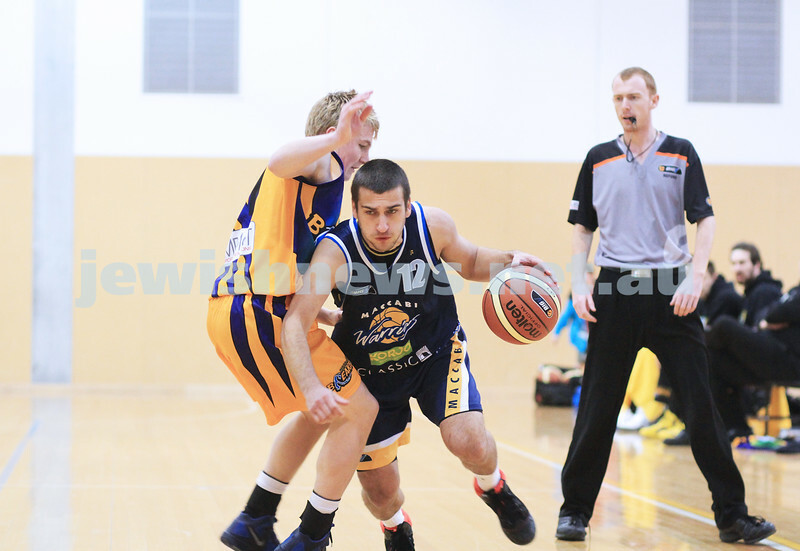 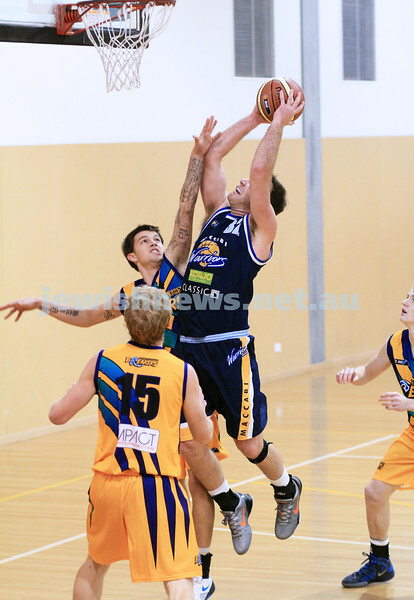 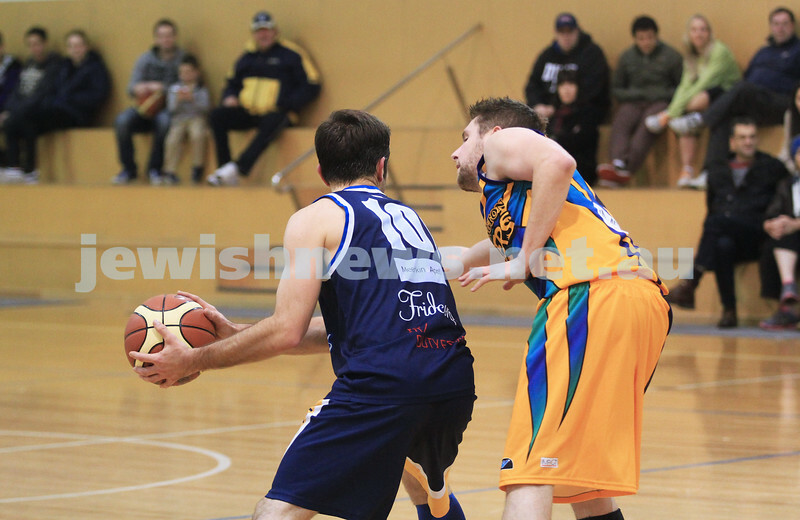 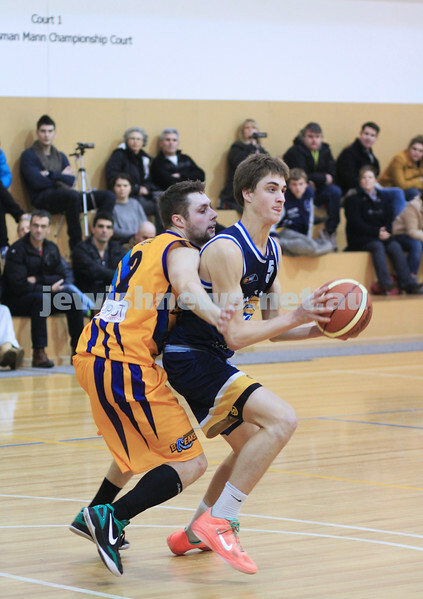 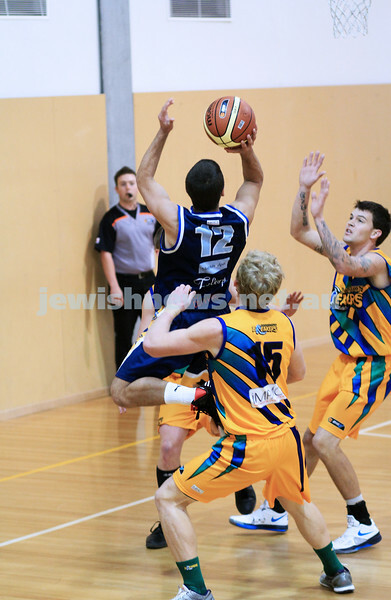 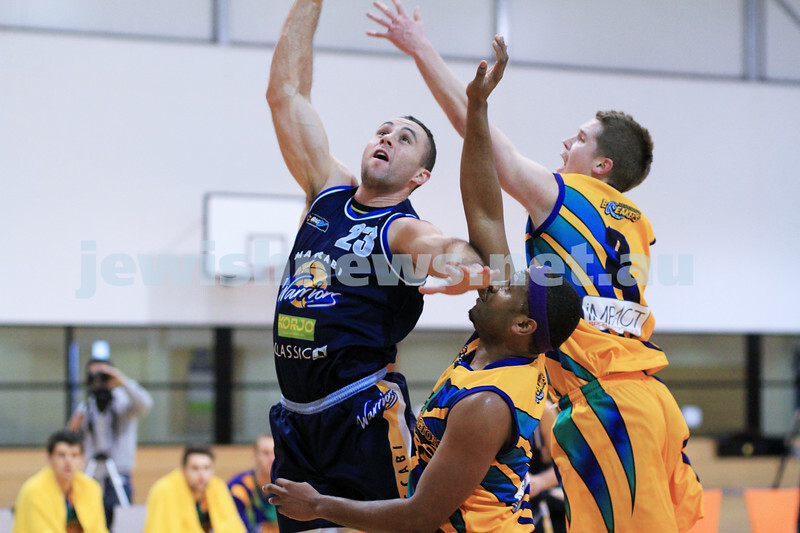 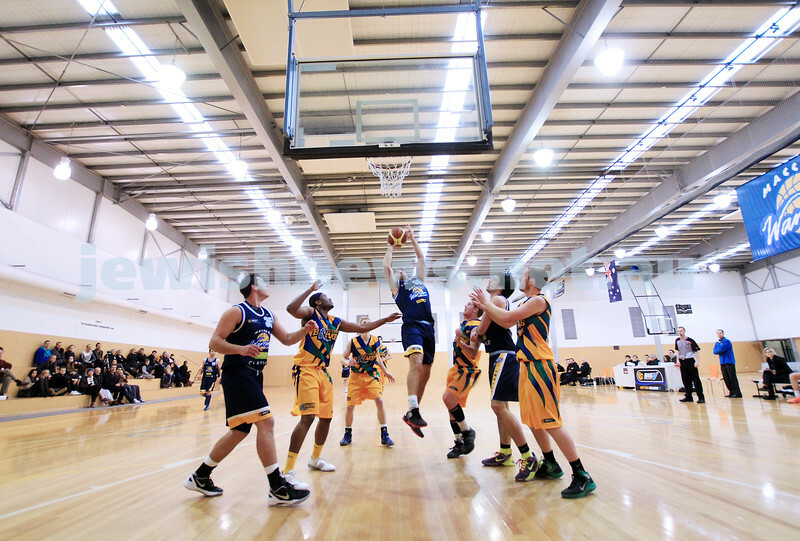 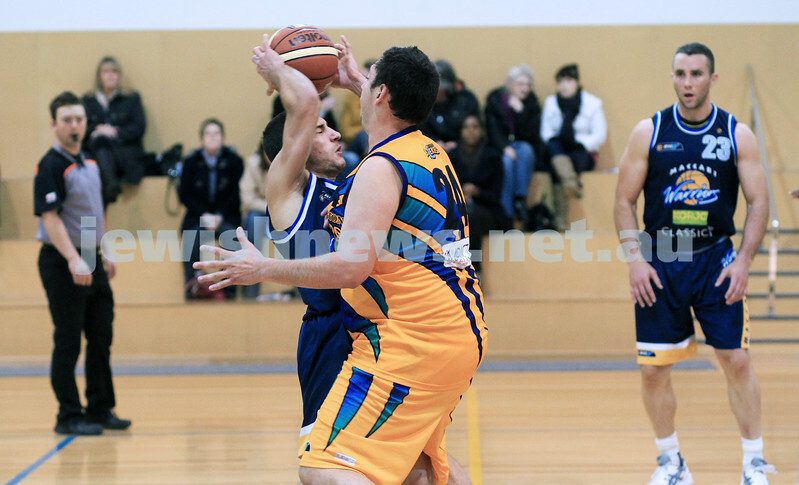 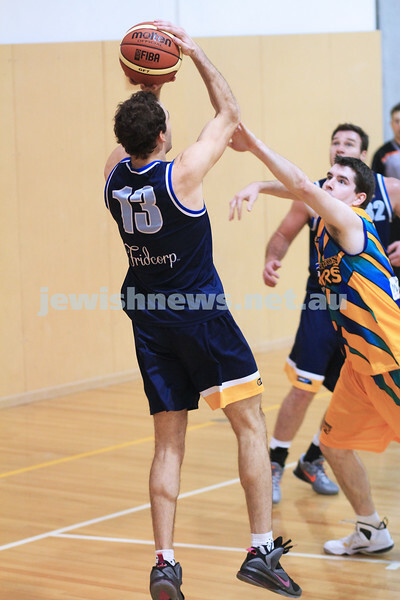 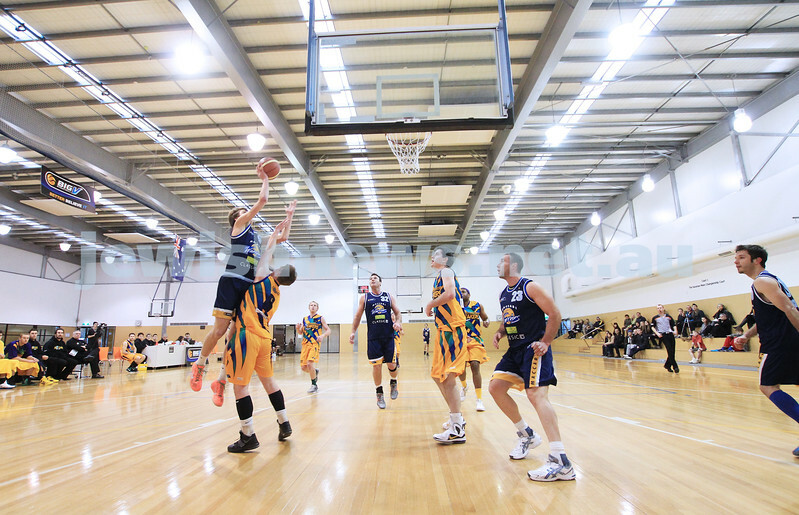 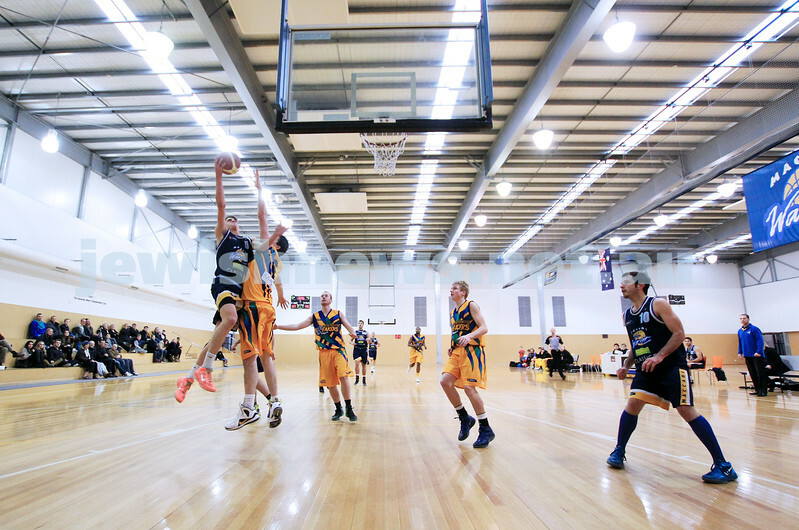 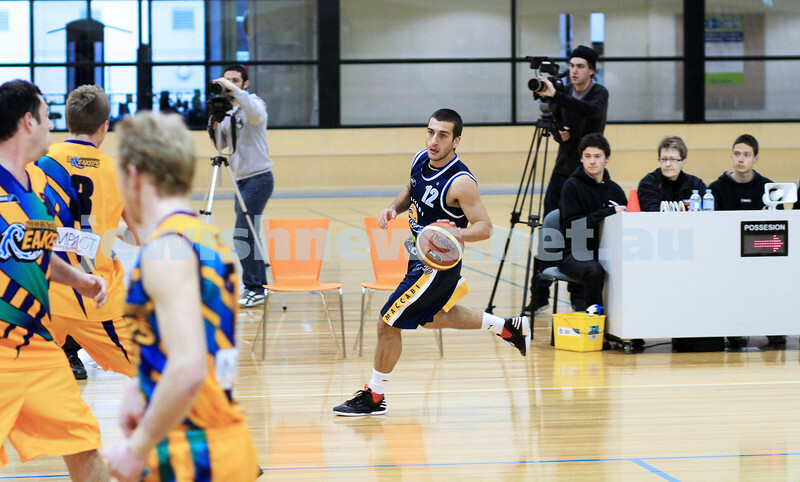 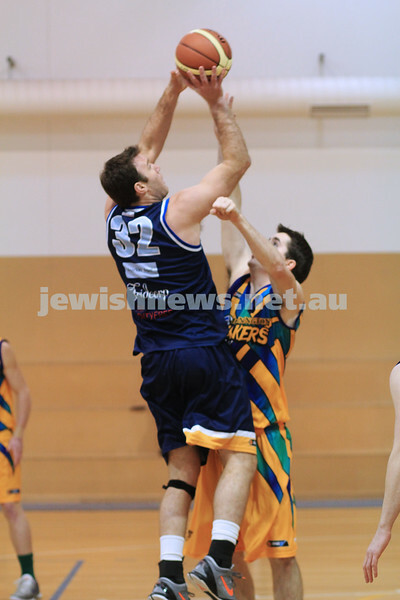 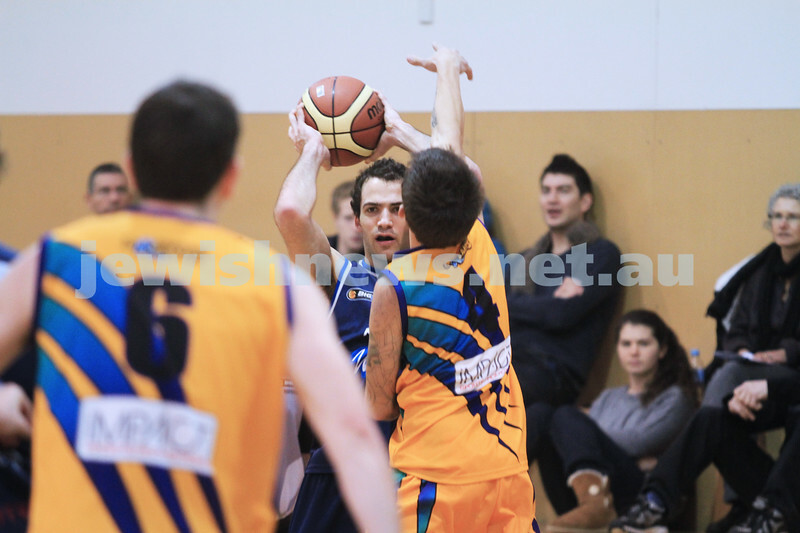 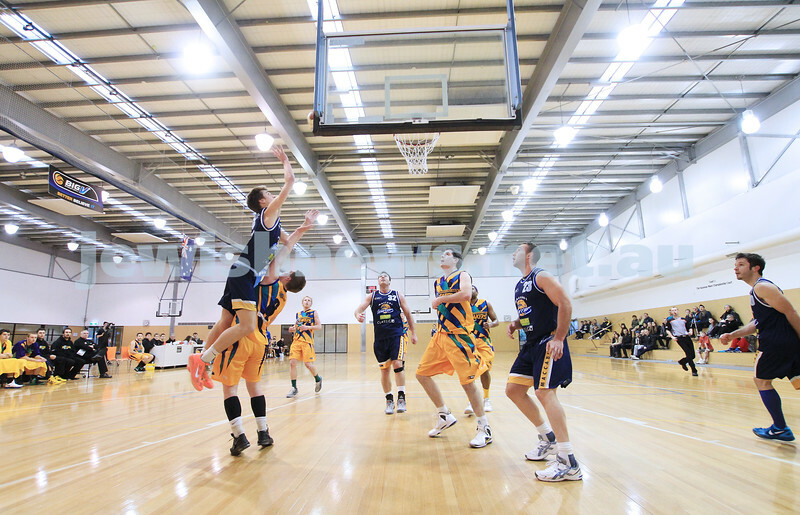 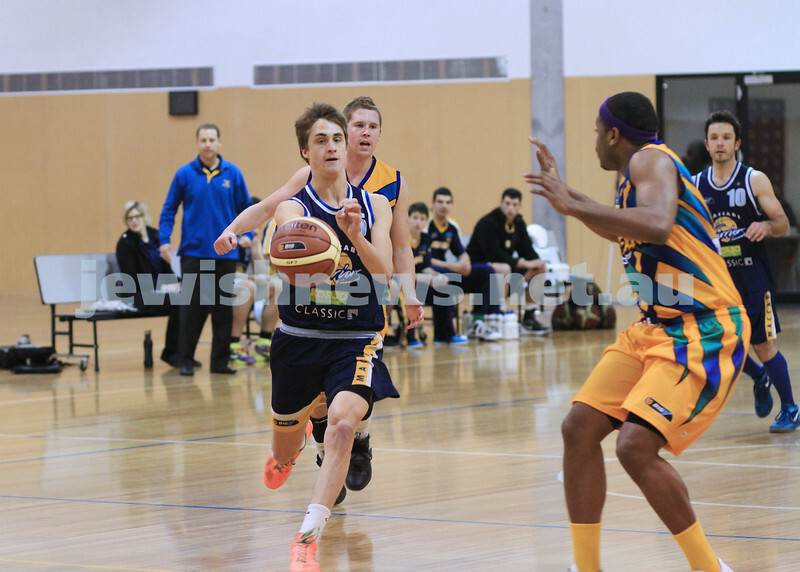 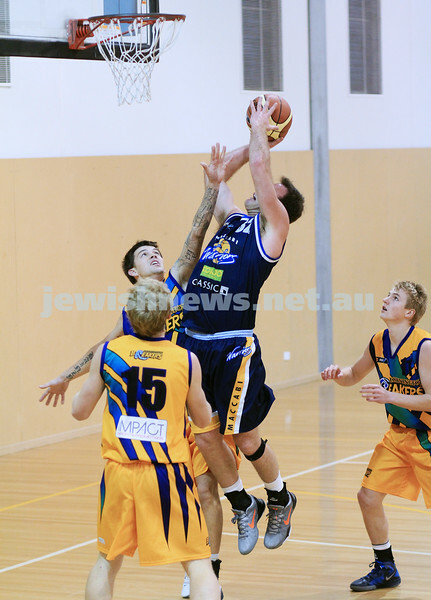 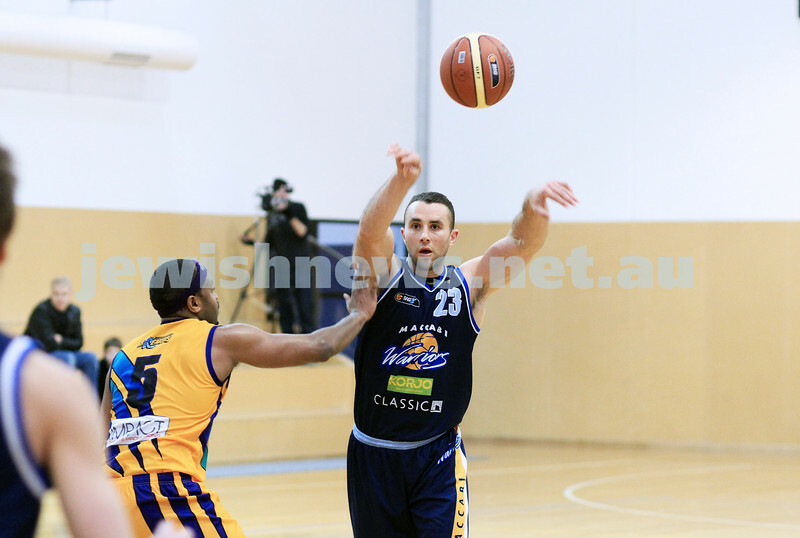 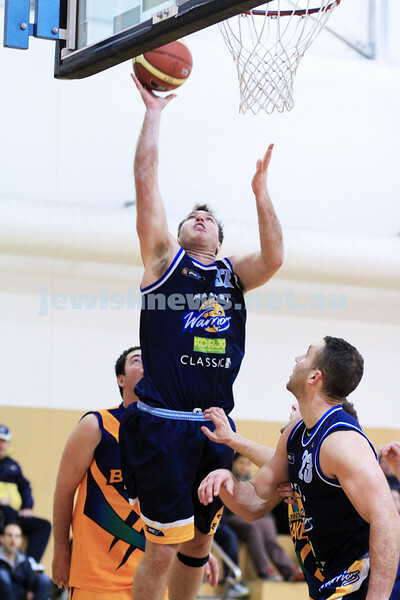 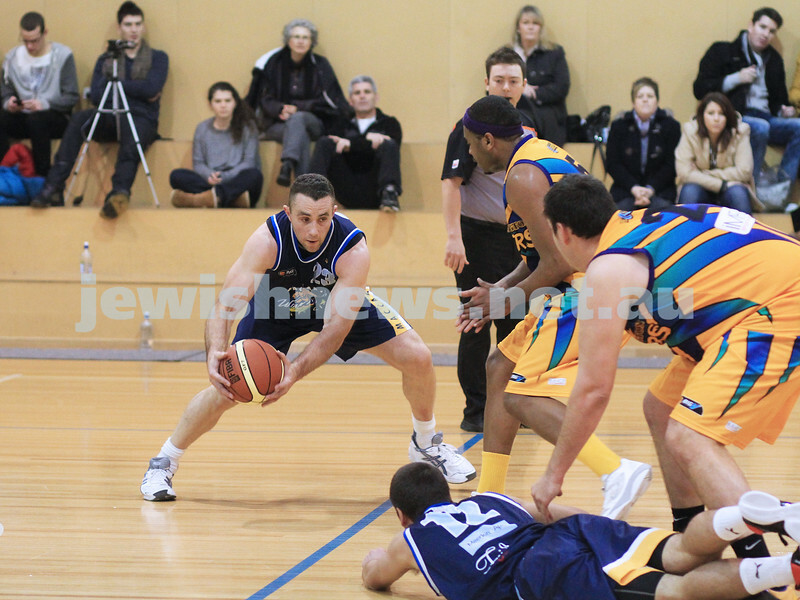 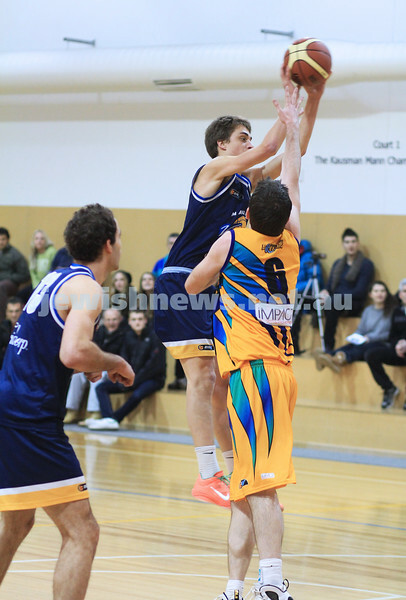 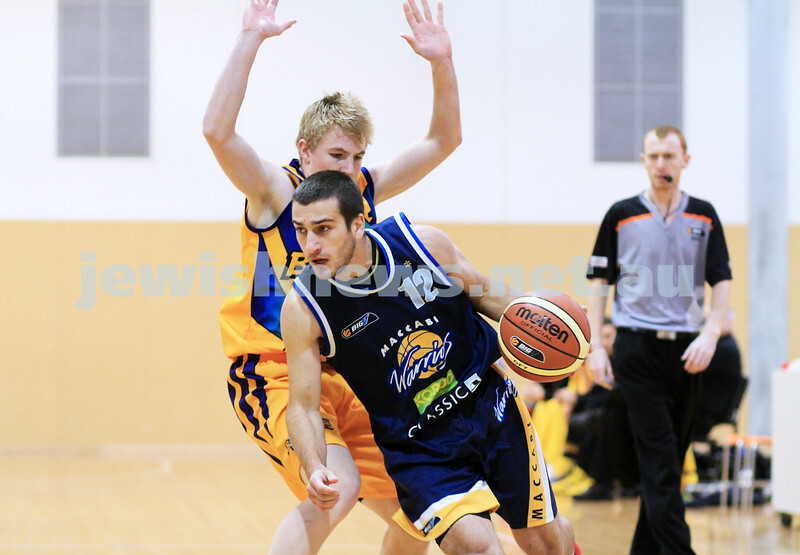 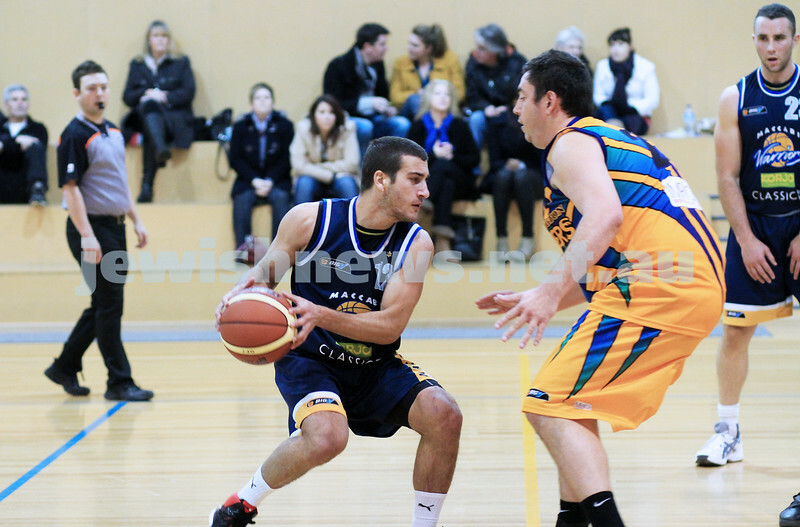 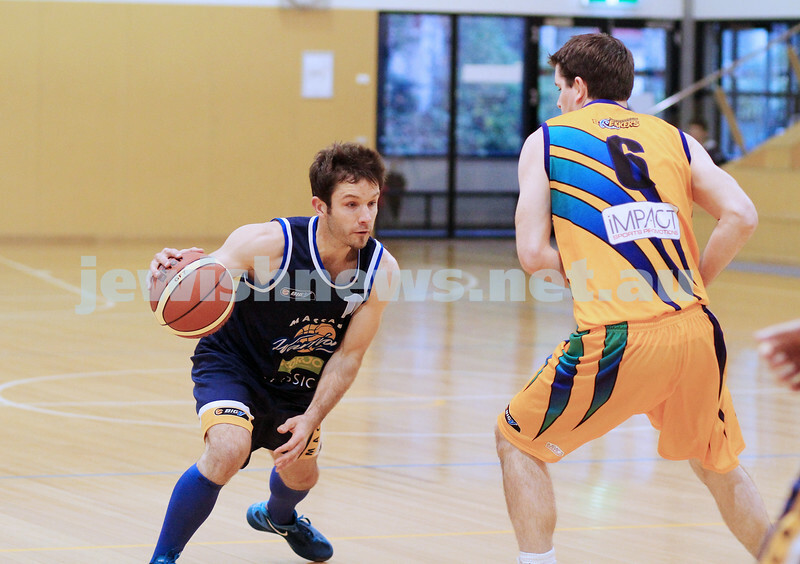 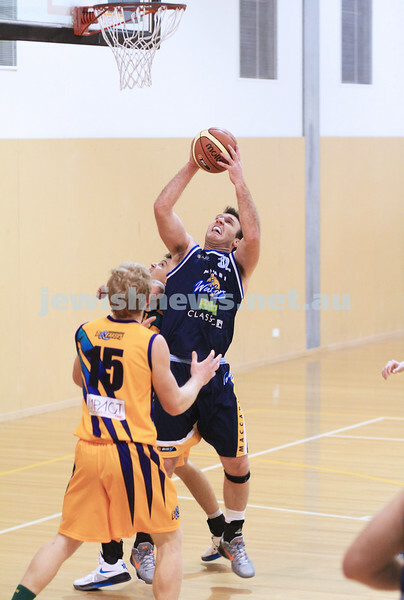 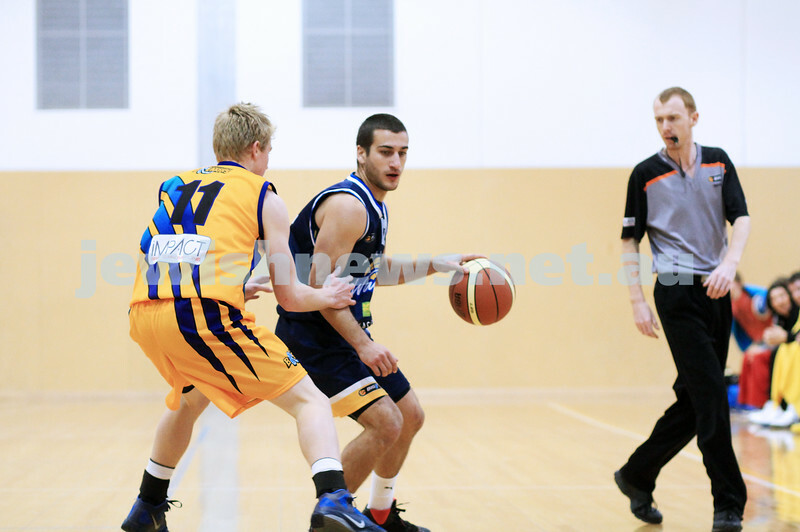 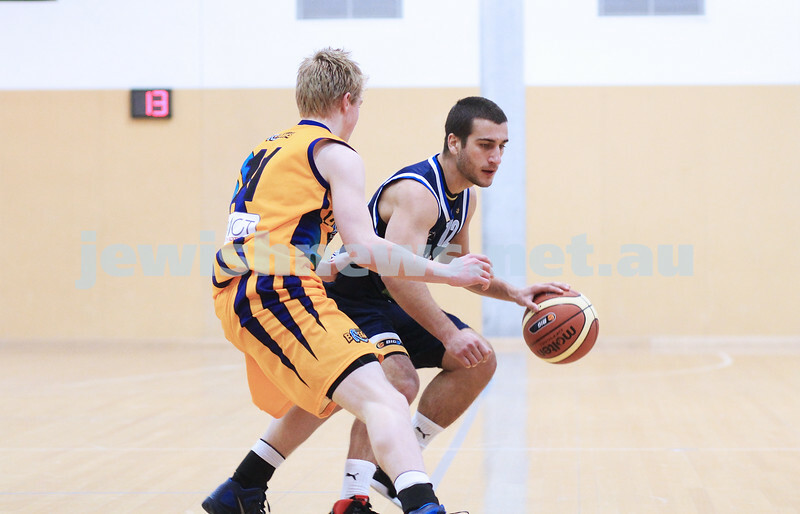 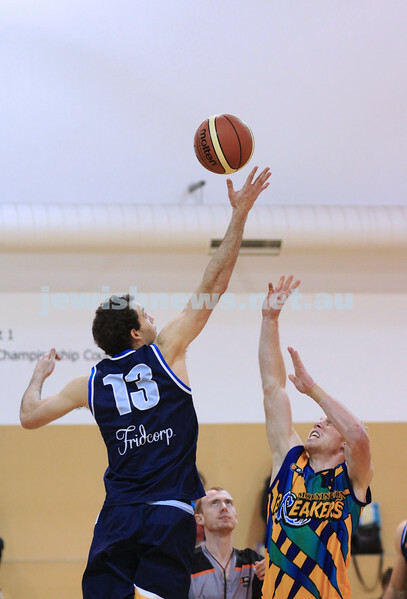 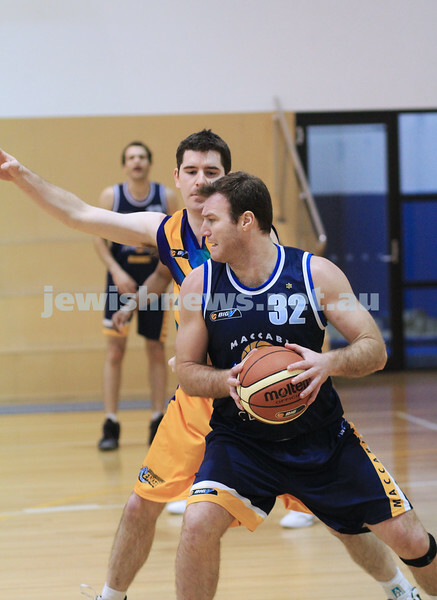 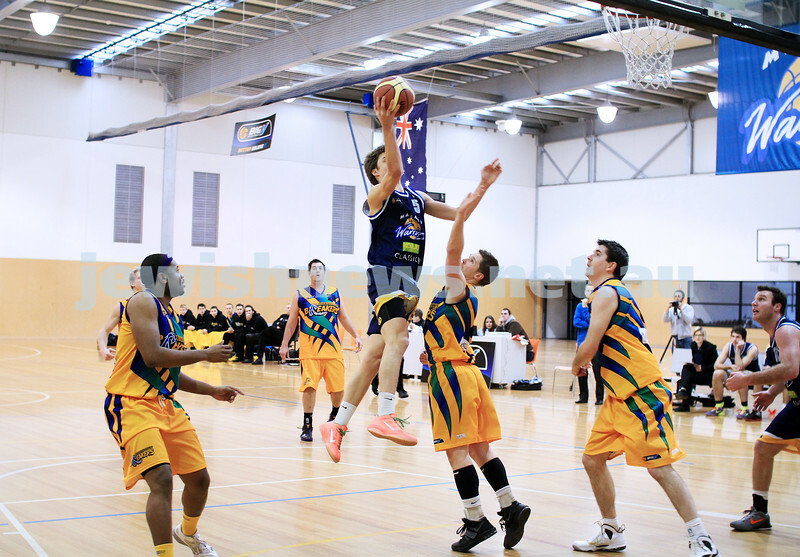 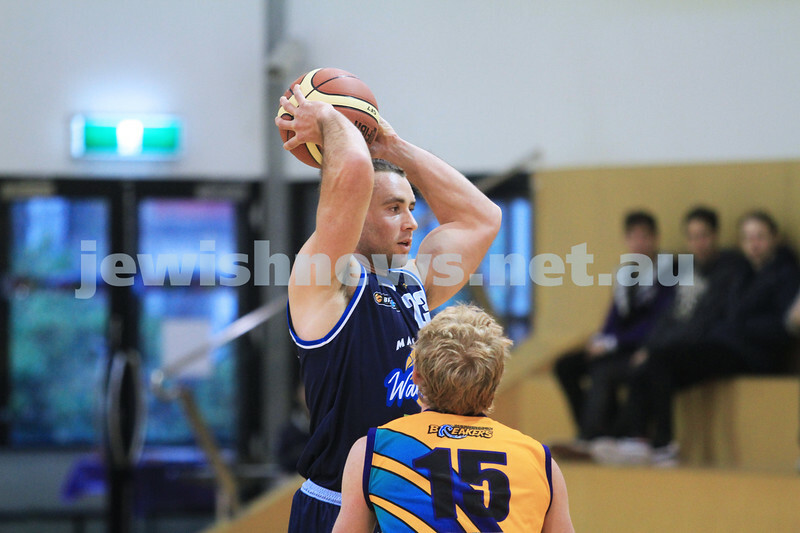 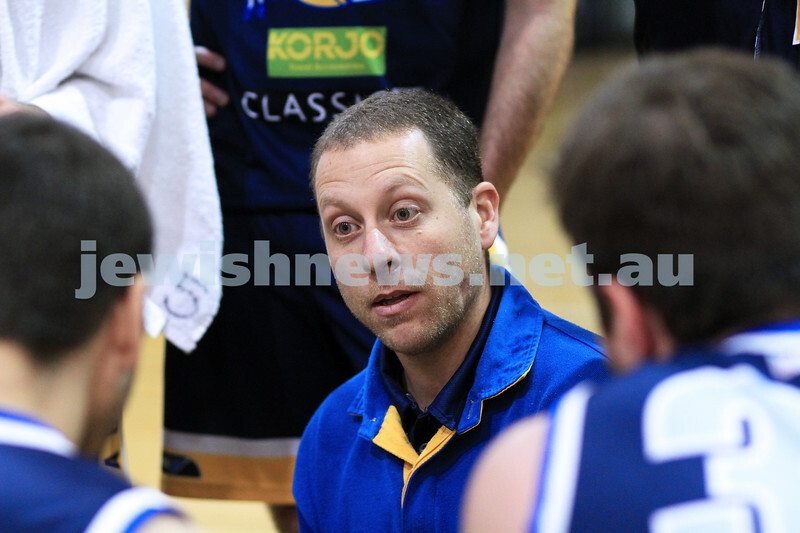 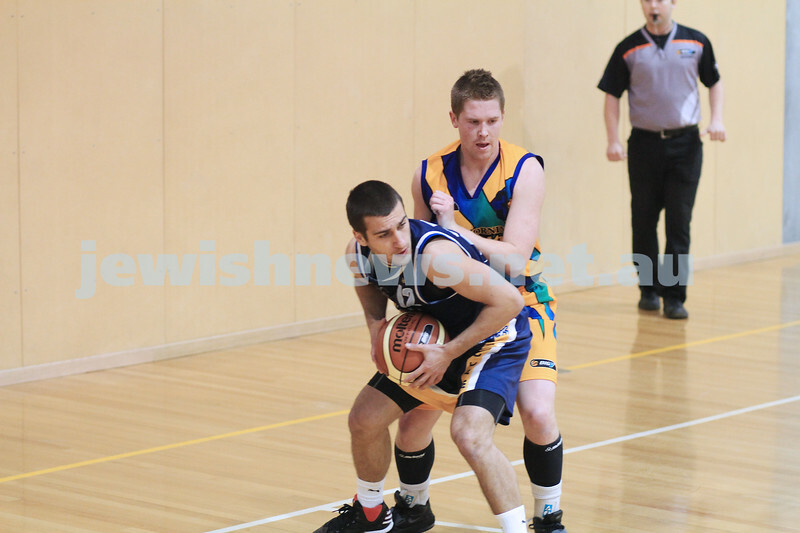 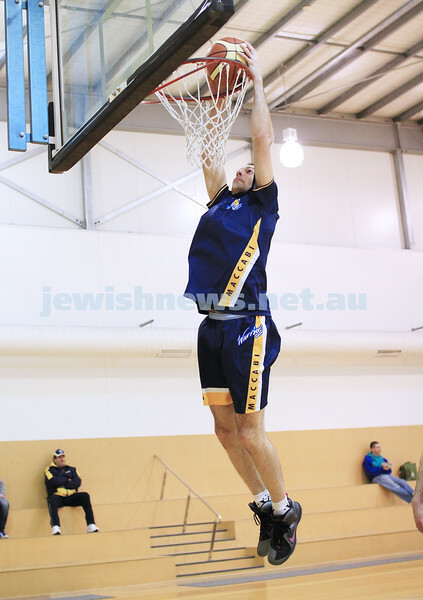 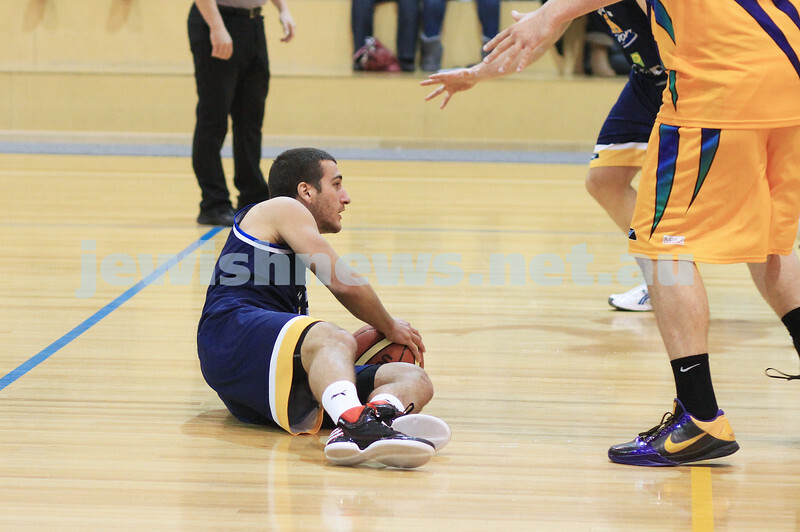 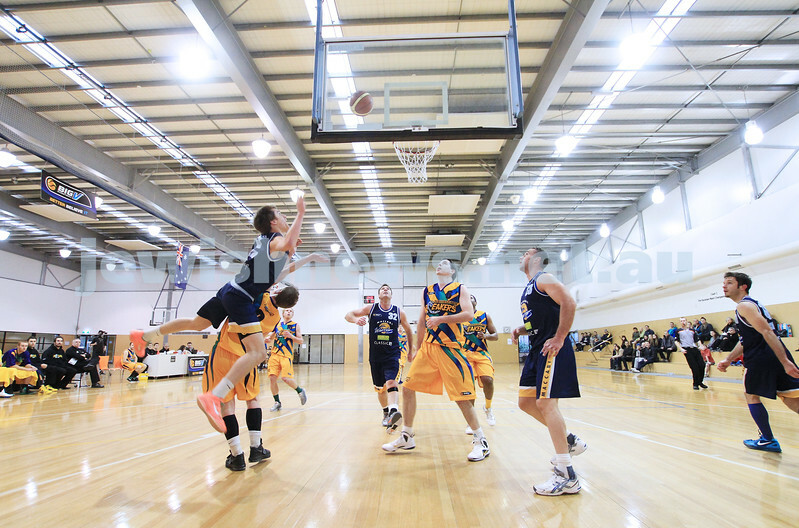 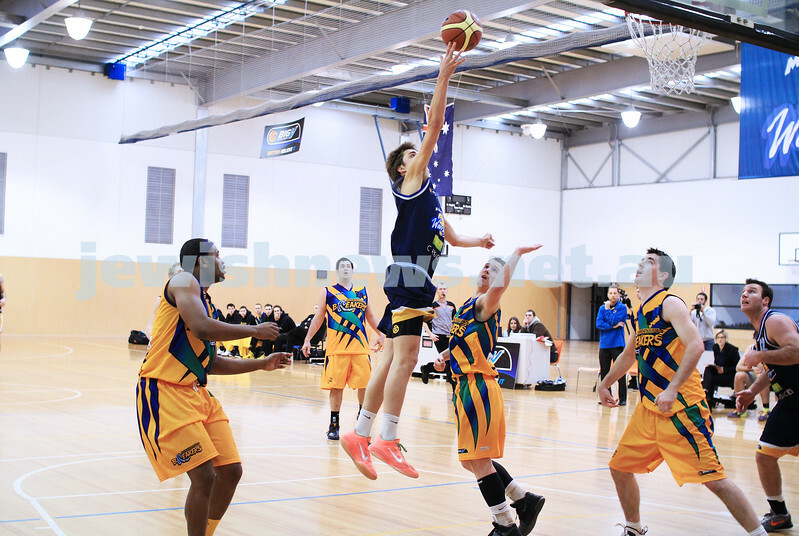 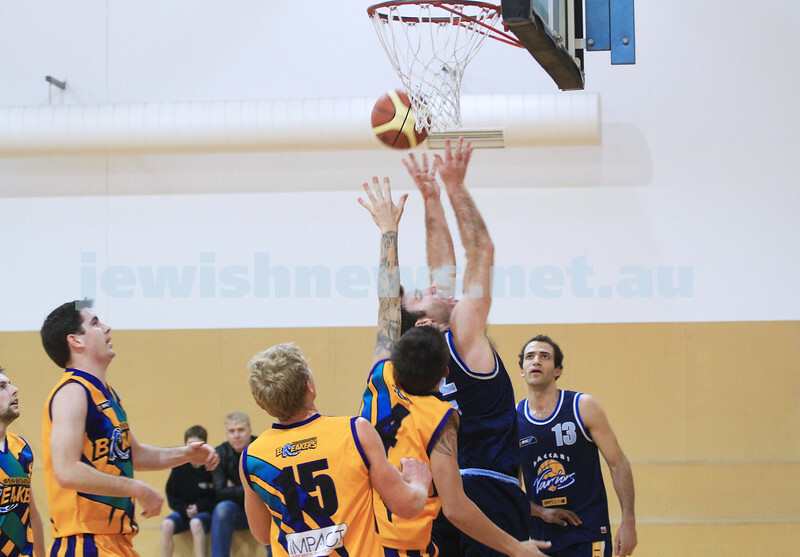 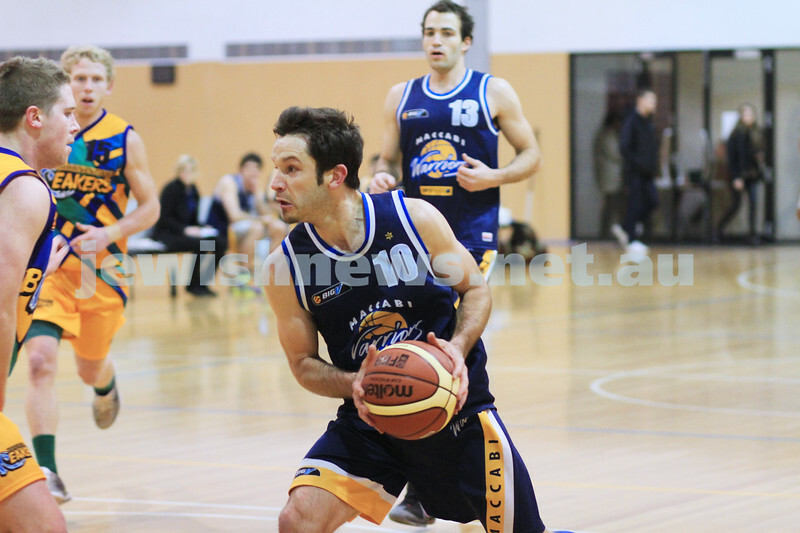 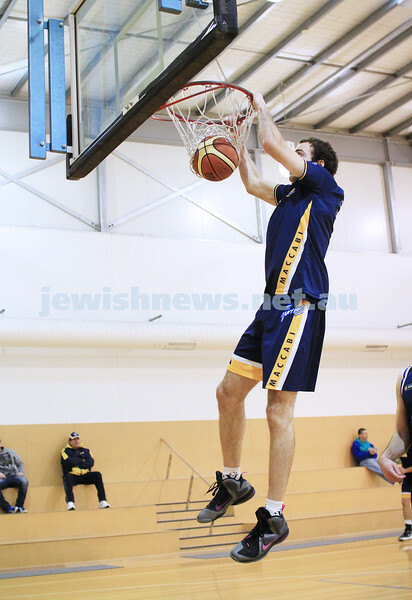 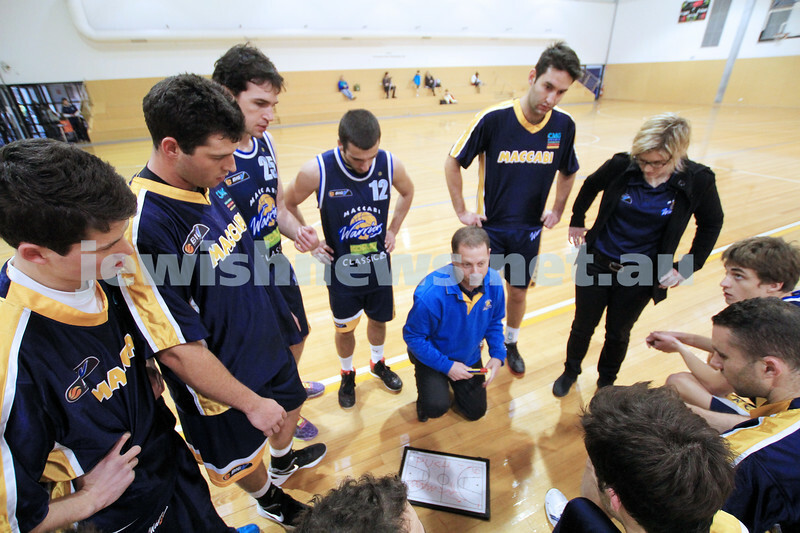 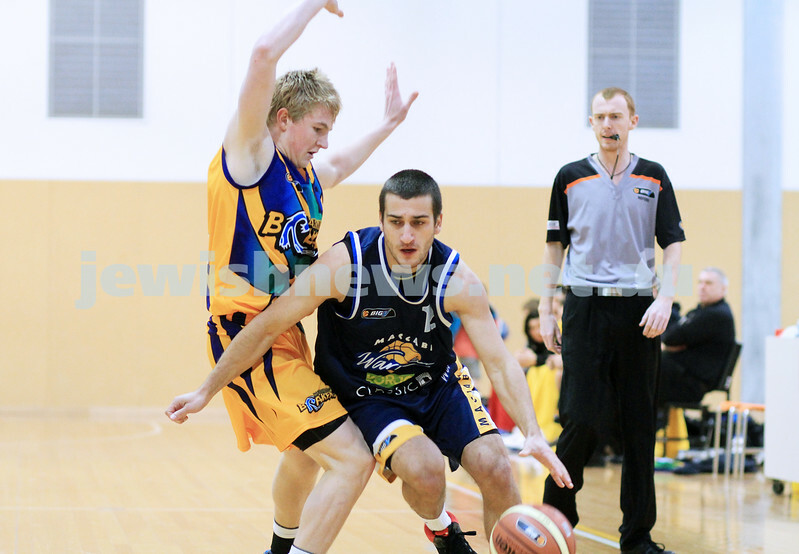 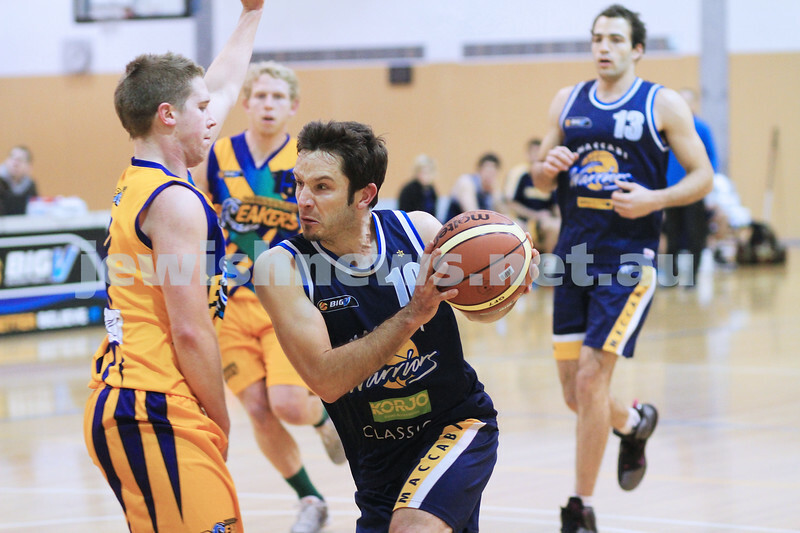 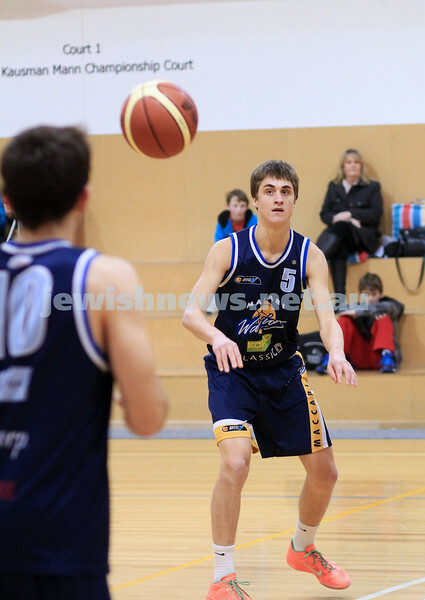 Maccabi Warriors basketball v Mornington. 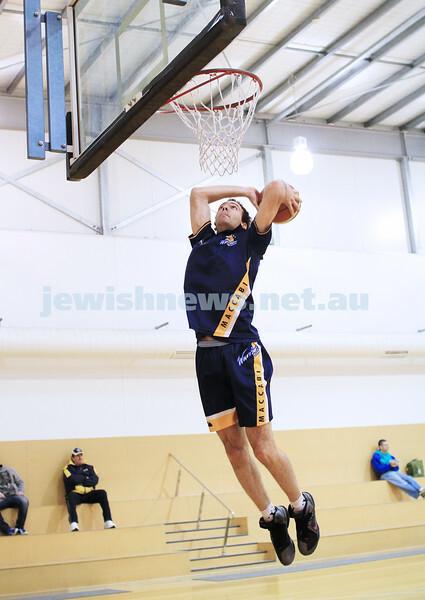 Photo: Peter Haskin. 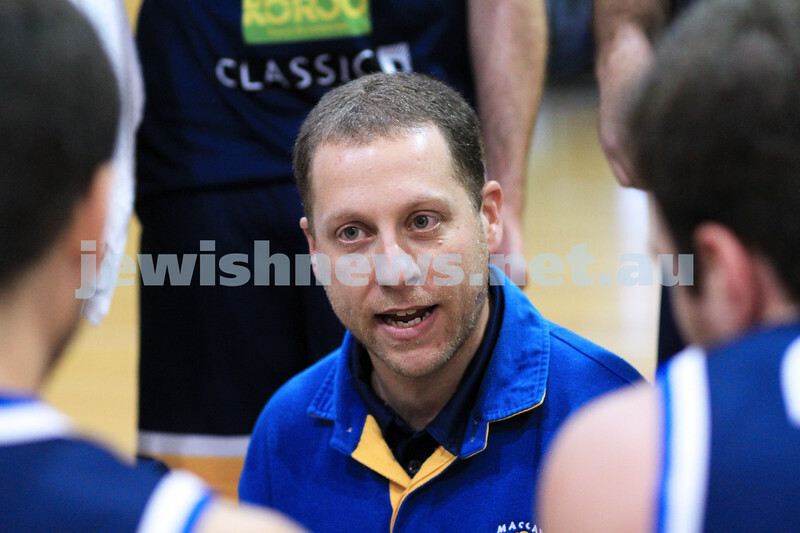 Coach Andrew Solewicz addresses his players.